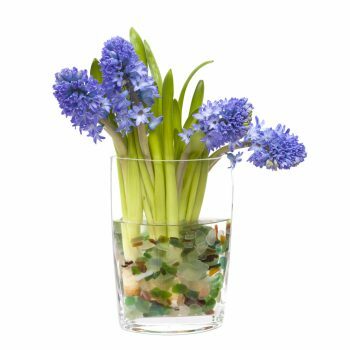 Who doesn’t love a beautiful spring daffodil, tulip or hyacinth? They are my favorite things about spring, besides the warmer weather! Did you realize that you do not have to wait for the spring thaw to enjoy your favorite spring bulbs? You can absolutely enjoy them in the middle of the winter’s cold by forcing them indoors. What does it mean to force bulbs? Basically, forcing bulbs means tricking them into thinking the spring weather has begun and it’s time to bloom. And guess what? It’s really easy to do! 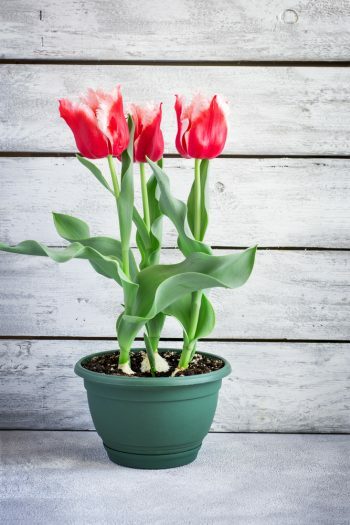 To chill and begin to force your bulbs, choose a pot that is deep enough to allow 2-3 inches of soil below the bulbs. It also needs enough space for the soil to cover the bulbs up to their necks. Cover the bottom 2-3 inches of the pot with good potting soil. Now place enough bulbs in the pot to fill it up. You don’t need to worry about crowding them during their chill time. Cover the bulbs just to their necks with soil. Place the pot somewhere cold. A cold frame, an unheated basement crawl space, or even your refrigerator will do nicely! Be sure to put them in a spot where you can keep the soil damp, but not wet. 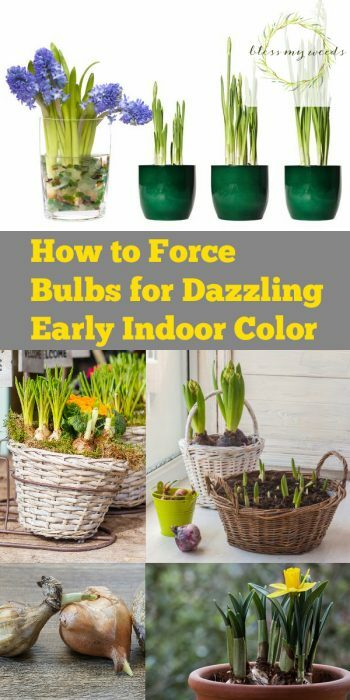 See how easy it is to start to force those bulbs? Once the chill time is up, you can start slowly warming your bulbs to wake them. A spot that is warmer, but not warm, is perfect. Also provide them with indirect light. 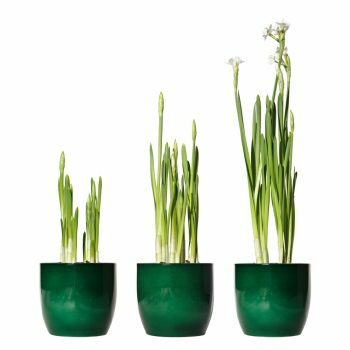 After the bulbs begin to send up green shoots, move the bulbs to a warm spot with more light. Keep the soil moist. 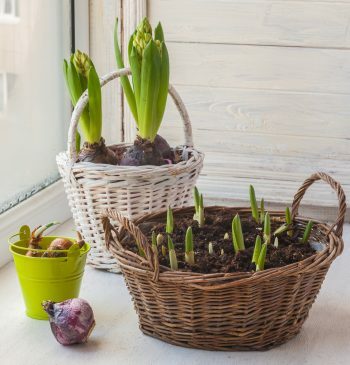 Soon you are going to be enjoying your favorite spring bulbs indoors while it snows outside! 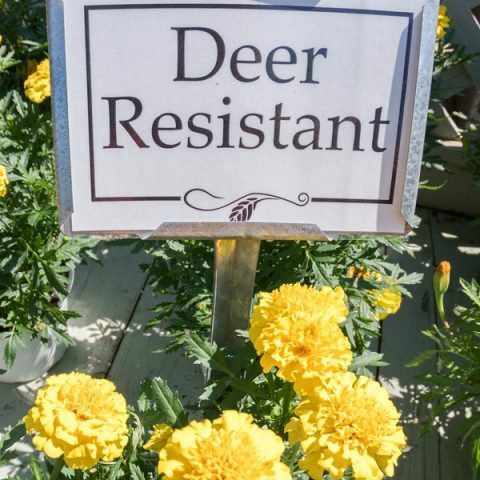 If you deal with deer in your area, it’s helpful to know the most deer resistant bulbs for spring planting.